Rent our stylish platform bed with a light gray, foam-filled linen upholstered headboard. Its soft surface makes it ideal to lean against while fitting in some light reading time before bed. 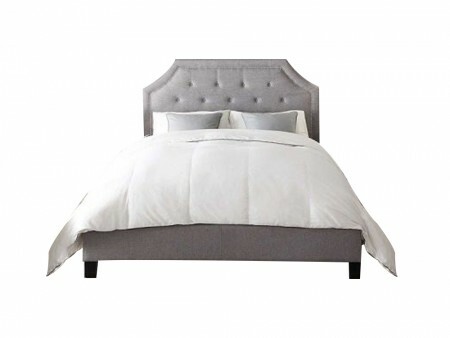 Button tufted detail completes the look of this airy and elegant bed. Our Jay Upholstered Bed is made of a solid bed frame. Rent this bed and add one of our Inhabitr foam memory mattress paired beautiful nightstand to complete the look of your bedroom.